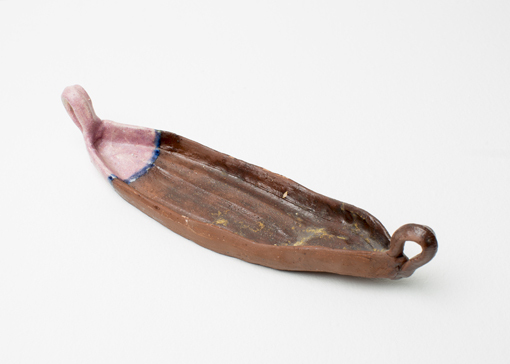 Join Ree Kaneko, Bemis Founder, Christina Narwicz, Collection & Archive Manager, and Ellina Kevorkian, Artistic Director for Residency Programs, for libations and a rare opportunity to purchase exciting ceramic works from the Bemis residency program. We’re presenting a curated Bemis pop-up on the first floor where these significant works are on view for purchase! 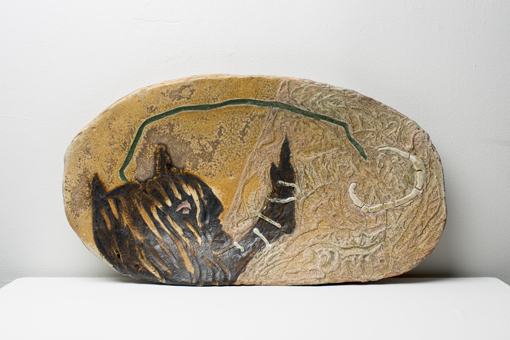 Originally donated from the residency program through the 1980’s and 1990’s, these thirty some pieces represent ceramic artists who are still making work and are leaders in their professions. Artists included: David Alban, Caitlin Applegate, John Balistreri, Miriam Bloom, Rebekah Bogard, Linda Casbon, Josh Greene, Rebecca Holland, Brook Levan, Brook LeVan and Michael Sarich, Joe Mannino, Yun Dong Nam, Paul Popple, Patrick Siler, Charley Strong, Kyoko Tokumaru, Nobuko Tsutsumi, Ann Marie Wasshede, Chris Weaver, Stan Welsh, and Janet Williams. Caitlin Applegate earned a BFA from the Hartford Art School, finished a year of post-baccalaureate study in Anchorage, AK, and a residency at the Mendocino Art Center in Northern, CA. In 2004, Caitlin moved to Lincoln, NE to pursue an MFA from the University of Nebraska Lincoln. During this period of study, Caitlin received honors including several awards from the University, a commission from the Lincoln Arts Council, and a grant from the Elizabeth Greenshields Foundation. After finishing her graduate study, Caitlin went on to work as an artist in residence at the Bemis Center for Contemporary Arts in Omaha, NE. After leaving Nebraska, Caitlin moved to Upstate NY where she maintained an active studio practice in addition to teaching at SUNY Cortland and at the Cornell Ceramics Studio. In the year following, she worked as a Visiting Assistant Professor in ceramics at the School of Visual Arts at Penn State University Park Campus. 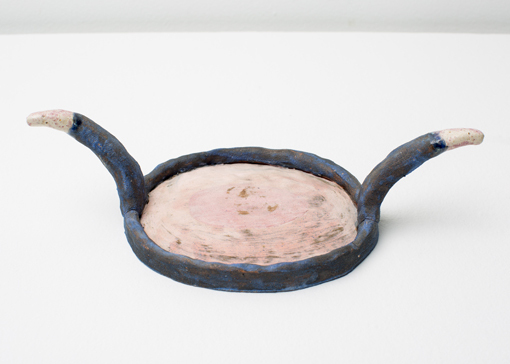 Since then, Caitlin was a resident artist and Barbara Rittenburg Fellow consecutively at the Clay Art Center in Port Chester, NY, where she currently works and teaches. Caitlin’s work has been exhibited both regionally and nationally. John Balistreri is a Professor of Art at Bowling Green State University, where he has been the head of the Ceramic program since 1996. 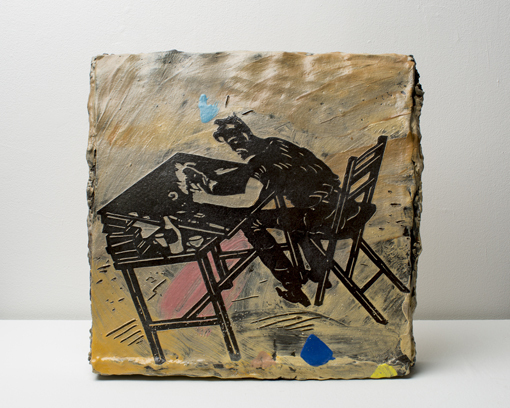 He received his BFA from the Kansas City Art Institute in 1986, his MFA from Kent State University in 1988, and received the Emerging Talent Award at the 1995 National Council on Education for Ceramic Arts (NCECA) Conference. Balistreri also serves on the Board of Directors of the Archie Bray Foundation. His articles have been published in Ceramics: Art and Perception, Ceramics Monthly, and American Craft and his work has appeared in many books on ceramic art. 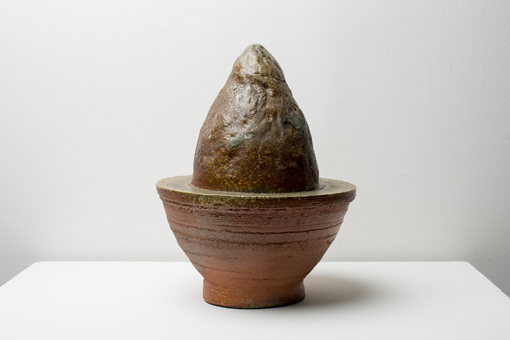 He has conducted over fifty workshops and lectures throughout the United States and China, has had nine solo exhibitions of large-scale ceramic work, and has participated in many national and international group exhibitions. 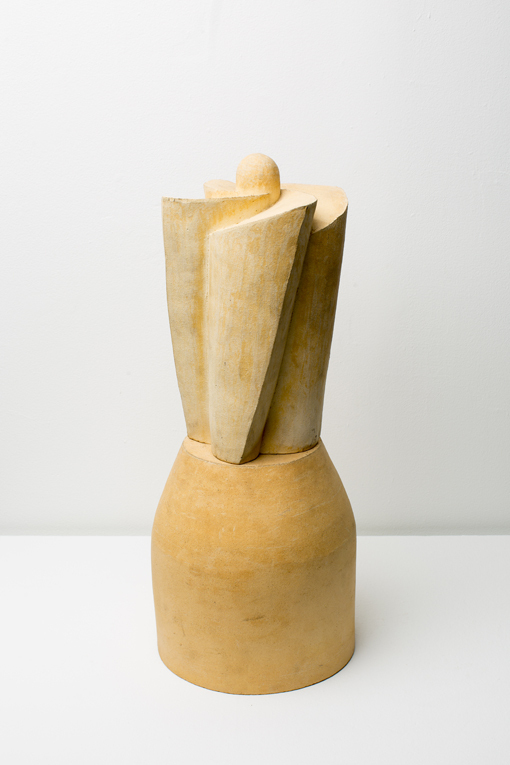 Balistreri’s work is also included in numerous corporate, private and museum collections, including the Fredrick R. Weisman Art Museum (Minneapolis, MN), The American Museum of Ceramic Art (Pomona, CA), The Canton Museum of Art (Canton, OH), The Daum Museum (Sedalia, MO), The American Ceramic Society (Columbus, OH), The Shiwan Treasure Pottery Museum (China) and the Foshan Ancient Kiln Museum (China). Miriam Bloom is a veteran artist who has been showing in New York City since 1975. Her sculptures are elegant and whimsical shapes, alluding to both animal and human qualities, like stoic sentries on the human condition. She is a sculptor with an extensive career having exhibited nationally and abroad with exhibitions at the Baltimore Museum of Art, Baltimore, MD, Galleri Wallner, Malmo, Sweden, Marianne Deson Gallery, Chicago, IL, Galleri Ahlner (with Cy Twombly), Stockholm, Sweden, DePaul University Art Museum, Chicago, and the Elizabeth Harris Gallery, NY, to name a few. 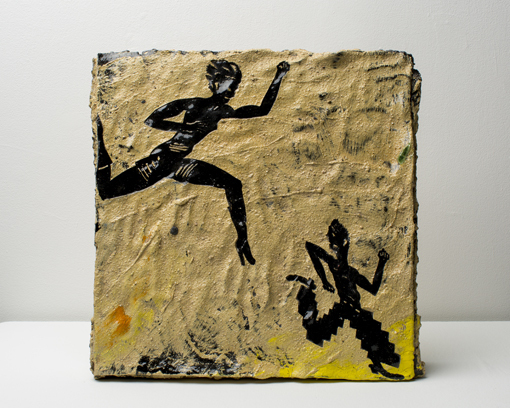 She is the recipient of numerous awards including The Marie Walsh Sharpe Art Foundation, the McKnight Award for Ceramic Artists, the Pollock-Krasner Foundation Grant Award, the Ruth Chenven Foundation, The New York Foundation for the Arts, the Gottlieb Foundation, the National Endowment for the Arts, and many more. She has held residencies with Loft Nota Bene, Spain, The MacDowell Colony, the Millay Colony for the Arts, The Women’s Studio Workshop, the Dieu Donne Papermill, the Bemis Center for Contemporary Arts, the Mid-Atlantic Arts foundation, and the Greenwich House Pottery. Her work has been written about in the New York Times, American Ceramics, Sculpture Magazine, the Chicago Tribune, Review Art, The Village Voice, Art News, Arts Magazine, Artforum, and the Los Angeles Herald Examiner among other publications. Rebekah Bogard received her MFA from the University of Nevada Las Vegas in 2003. She received a BFA from the University of Wyoming in Laramie in 2000. 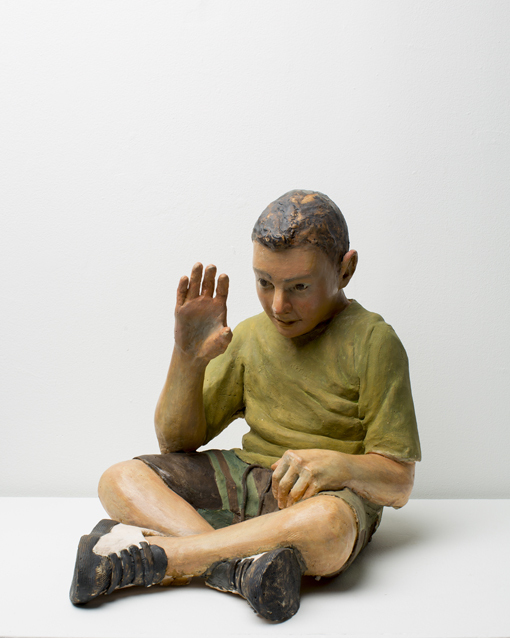 She is currently an Associate Professor in Ceramics at University of Nevada Reno as well as a studio artist. She has received numerous awards including being named an “Emerging Artist” by both the National Council on Education for the Ceramic Arts and Ceramics Monthly Magazine. She has been awarded a residency at the Bemis Center for Contemporary Arts. In addition she is a two-time recipient of the Nevada Fine Arts Council Fellowship, as well as receiving the “Best of Show” in several national art competitions. Her work has shown in several solo and group exhibitions nationwide. 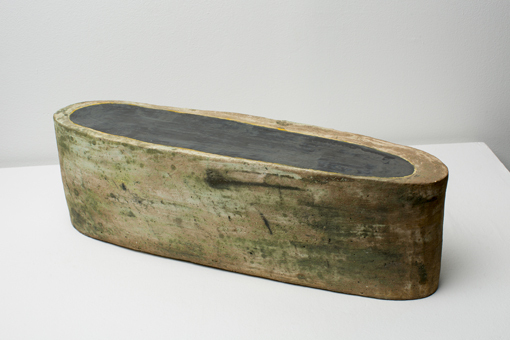 Moreover, her work has been reviewed in publications such as Art in America, LA Times, Ceramics Monthly Magazine, Clay Times Magazine, and Artweek. 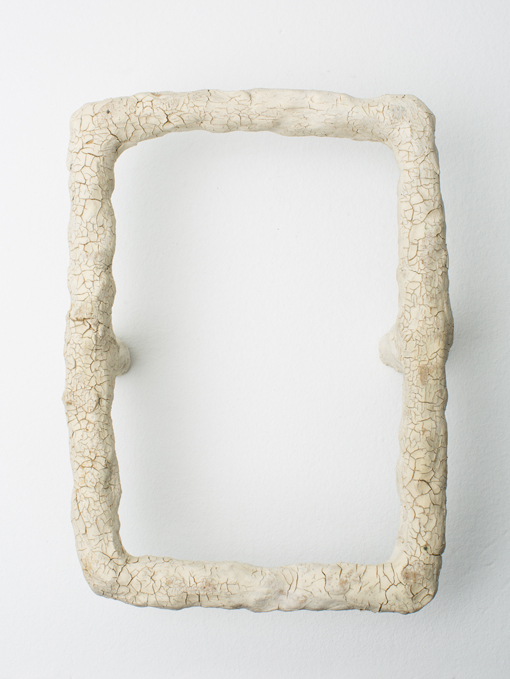 My work translates forms into a language of metaphoric associations. It hints at meanings without using literal descriptions. Objects are the visual sounds of this language. When placed together these words form a sentence, a poem, and a kind of narrative with its own internal logic. The pieces look like . . . feel like . . . sound like . . . but cannot be consciously identified or named. With this work I am striving for a sense of unnameable familiarity. Develops and implements strategic programming efforts in consort with a national board of directors and approximately 5000 members including artists, educators, students, gallery directors, schools, corporations and non-profit organizations. Rebecca Holland holds an M.F.A. in ceramic sculpture from the University of Massachusetts, North Dartmouth and a B.A. 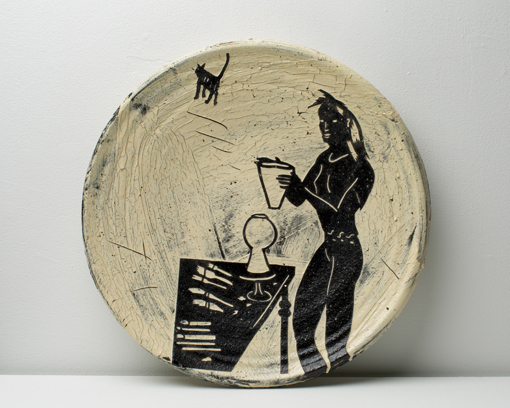 in ceramics and painting from Bennington College in Vermont. She has been an artist-in-residence at the Bemis Center for Contemporary Art, Omaha, NE and is currently an adjunct professor at San Antonio College. Holland has exhibited her work throughout Texas, including one-person exhibitions in San Antonio at San Antonio College (1998): ArtPace (1998); Cactus Bra Gallery (1998); House Space (1997); and Milagros Contemporary Art (1996). Group exhibitions have taken place at Blue Star Art Space, San Antonio; The Arlington Museum of Art, TX; and the Bemis Center for Contemporary Art. James Gallery, Houston, TX represents her work. Rebecca Holland was chosen for her ArtPace residency by the March 1998 panel consisting of Dan Cameron, Annette DiMeo Carlozzi, Amada Cruz, Kellie Jones, Hans-Ulrich Obrist and Nancy Rubins. Rebecca Holland lives and works in San Antonio, TX. Holland’s background as a sculptor and ceramicist inform her use of materials and approach to working with mass and volume. In recent years, she has been working almost exclusively with wax, creating minimalist paintings and objects. Concurrently, her investigations of space have resulted in poetic site-specific installations involving unexpected materials: a gallery space bisected by a screen of dental floss, an isolated, gilded stone in a house’s wall, yellow roses lining the crack between a wall and a floor in a dilapidated warehouse. Heightening architectural history, natural light and sense of smell, Holland’s spatial interventions transform mystery and discovery into matter. Brook Levan is an artist and the Co-Founder and Executive Director of Sustainable Settings. Brook Levan received a MFA, NYSCC from Alfred University, and a BFA, Kansas City Art Institute. He is a certified Permaculture designer and consultant and an alumnus of the Institute for Social Ecology (1978). He has consulted, practiced and taught sustainable design, green building, renewable energy, sustainable agriculture, wetland creation and art and design. Mr. Levan is a Fulbright Scholar and has extensive research and travel in Africa, Asia and North and Central America. He has held faculty positions at Pomona College, University of Connecticut and James Madison University. He has published, lectured and exhibited internationally. Mr. Levan is a National Advisory Board Member of Solar Energy International and The Wright Way Foundation, a founding Board Member of the Thompson Divide Coalition, and Board Member of GrassRoots TV. Joseph Mannino was born in Chicago, Illinois in 1950. He received his B.A. degree from Knox College in Galesburg, Illinois and his M.F.A. from Southern Illinois University in Carbondale. Mr. Mannino`s solo exhibitions include the Arlington Arts Center, Arlington, Virginia; Montpelier Cultural Art Center, Laurel, MD; BACA/Brooklyn Arts Council, NY, NY; Crocker Art Museum, Sacramento, CA; the International Sculpture Conference Exhibition, Oakland, CA, and the Three Rivers Arts Festival, Pittsburgh, PA. 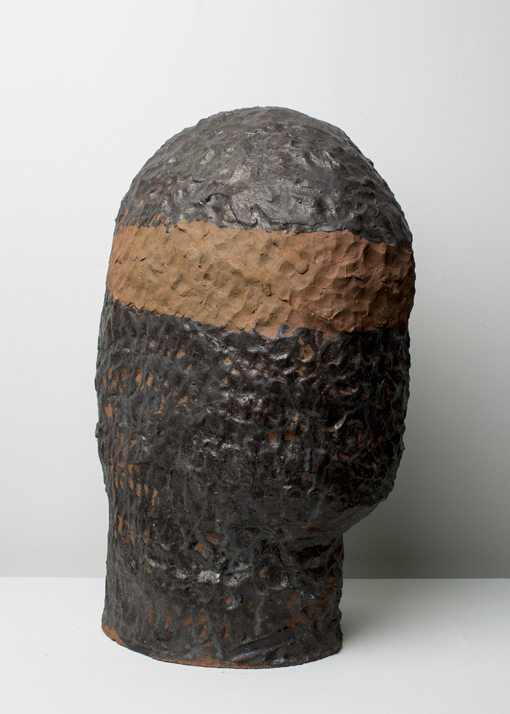 He has participated in numerous group shows, including shows at the San Francisco Museum of Modern Art; the Everson Museum of Art, Syracuse, NY; the San Angelo Museum of Fine Arts, TX; Pewabic Pottery, Detroit MI; Southern Alleghenies Museum, PA; Erie Art Museum, PA; Newark Museum, NJ; and Washington Square, Washington, D.C. He has been awarded large-scale commissions by Carnegie Mellon University and the City of Sacramento. Mr. Mannino`s work appears in the permanent collections of, among others, the City of Palo Alto, CA; the City of Sacramento, CA; the Renwick Gallery, Smithsonian Institution, Washington, DC; the University of Alabama, Birmingham, AL; the University of California, Davis, CA; and the Washington State Art Commission, Medical Lake, WA. He has been granted artist residencies at the Bemis Foundation, Omaha, NE; Kunstseminar, Metzingen, Germany; Associazione Promozione Iniziative Sociocultural, Sardegna, Italy; the Montpelier Cultural Arts Center, Laurel, MD; and the Kohler Arts Center, Sheboygen, WI. A frequent lecturer, Joseph Mannino has also taught as visiting faculty at the University of California, Davis, CA; Ohio State University, Columbus, OH; California College of Arts and Crafts, Oakland, CA; and Sweet Briar College, Sweet Briar, Virginia. A recipient of a Pennsylvania Council on the Arts grant, Mr. Mannino is presently Associate Head of the School of Art and Associate Professor of Art at Carnegie Mellon University in Pittsburgh. Yun Dong Nam was born in Seoul, Korea and received his M.F.A. from Cranbrook Academy of Arts in Bloomfield Hills, Michigan. Before coming to Chapel Hill in 1995, Yun-Dong held teaching positions at Rutgers University in New Brunswick, NJ, California State University at Long Beach, and at Bennington College in Vermont. He also held an artist residency at the Bemis Foundation in Omaha, Nebraska before becoming an Associate Professor of Art at UNC. In 2000, Yun-Dong received the University of North Carolina’s Tanner Award for Excellence in Undergraduate Teaching. 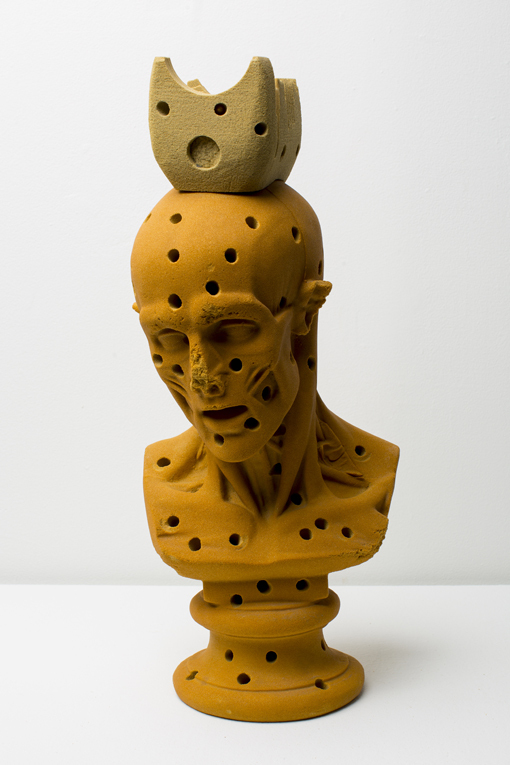 In addition to his acclaimed teaching career, he is an active and widely recognized ceramic sculptor, having exhibited his work in over sixty group exhibitions and ten solo exhibitions. Most recently, Yun-Dong’s pieces appeared in two shows: the Asian American Artist Exhibition at the Kentucky Museum of Arts & Design in Louisville, and 6595 Miles (10614 KM)at the Network Gallery of the Cranbrook Museum of Art in Bloomfield, MI. Yun-Dong has also exhibited his work overseas, including a solo exhibition held at the Tho-Art Space Gallery in Seoul, Korea. 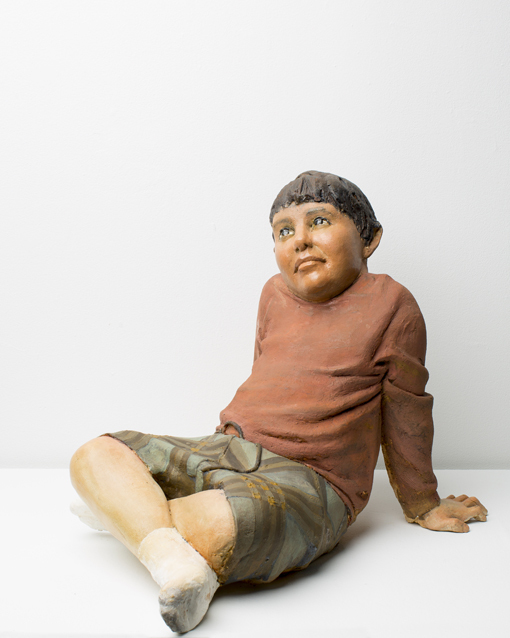 Several publications, including the Los Angeles Times, Ceramic Art Monthly, and Art & Antique Magazine, have highlighted his extensive body of work. Among many other professional accolades, Yun-Dong’s work received first prize from the Korean Arts Foundation of America in 1992. Emotion and energy are inherent properties of clay. In clay the Earth is held; it grows, wears down, and is renewed. 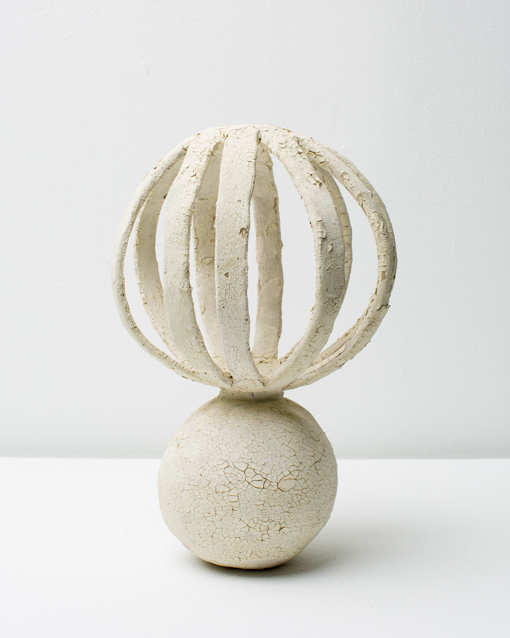 As an organic material, clay is able to capture one’s ideas and transform them into a tangible reality. The by-product then becomes a living tool to educate and inform. 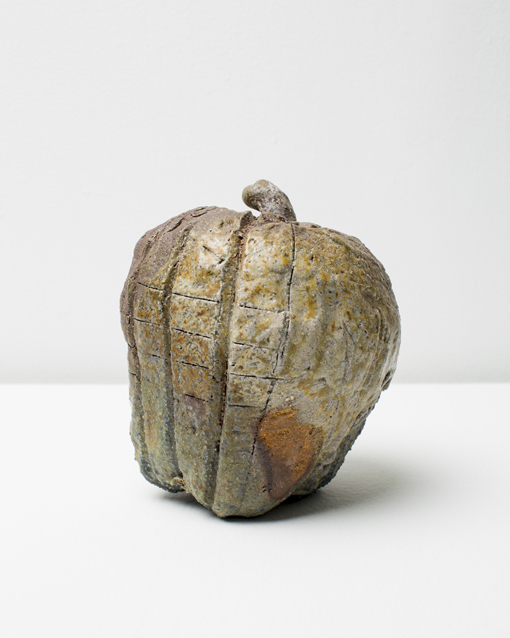 As a ceramic artist I am dealing with a history of connections to the Earth. What I am seeking in my work is a reconnection to the rhythms of nature. 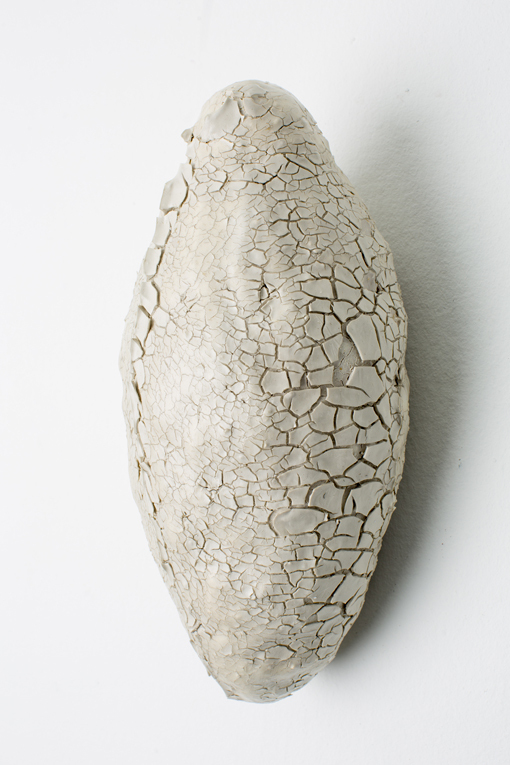 In using clay to make my pieces, I am attempting to fuse with the elemental properties of nature. Within our society we have broken these connections to the Earth. As artists we can create an awareness of such a loss and demonstrate a hope of reconnecting. 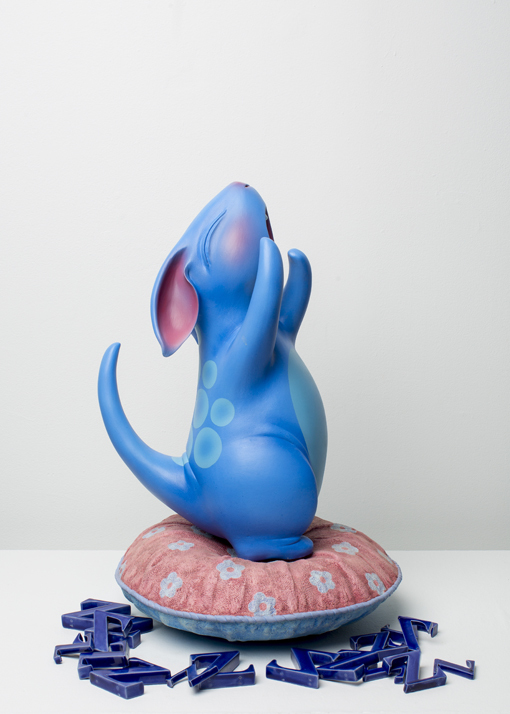 Paul Popple was born in 1953 in Vietnam. In 1970, he studied art history at the Northwestern University, and in 1973, studied sculpture in Florence under the guidance of Josef Gudics. In 1975, he obtained a degree in Fine Arts from the Carnegie-Mellon University of Pittsburgh, specializing in sculpture. Having returned to Italy, he started working with found materials, and later with marble, and finally became interested in ceramics. A period of intense sculpting activity began. In 1990, he won a scholarship to the Alternative Worksite Bemis Foundation of Omaha, in Nebraska. In 1991, he returned to Tuscany, where he continued his research, experimenting with different materials. In 1994, he began a collaboration with a terracotta factory in Impruneta, where he was able to create objects of large dimensions in terracotta for outdoor settings. Two years later he continued his research in the ceramics field in his own workshop. In 2003, he was selected in an international competition for the creation of a large garden lantern for the ceramics museum of Taipei in Taiwan. In 2004, together with a partner, he founded the Arte Toscana Gallery in Portsmouth in the United States, with the objective of displaying the work of artists from all over the world who have chosen to live and work in Tuscany. Michael Sarich makes work filled with narrative icons and metaphorical imagery of a highly personal, yet universal nature. He studied printmaking and drawing at the College of Salzburg in Austria, earned a Bachelor of Fine Arts in printmaking at Northern Illinois University and a Master of Fine Arts in drawing, painting, and sculpture at the University of Oklahoma. Since 1989, he has been an Associate Professor of Art at the University of Nevada, Reno. His works in printmaking, painting, ceramics, and sculpture have been included in many national and international exhibitions. 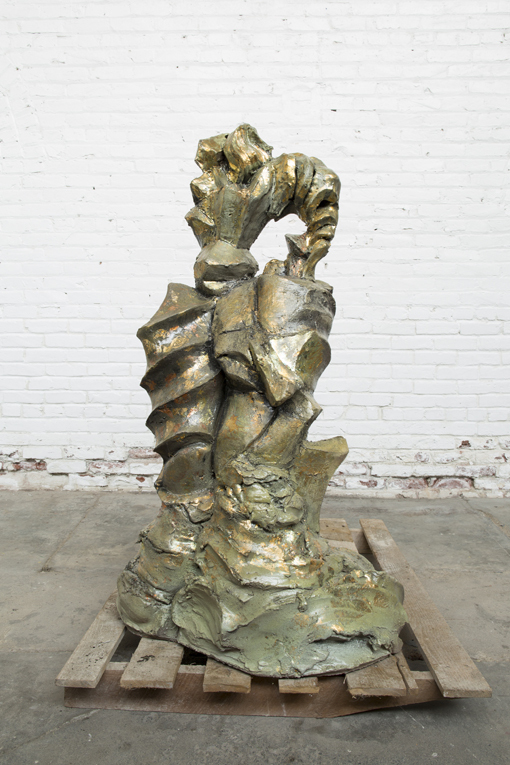 In 2007, he received the Joan Mitchell Award. Patrick Siler served an extensive apprenticeship over the past 50 years: going to school, trying different media, working in a variety of modes, and learning the ropes. Now I want to use the process of art to express something inside of me. I'm not sure what it is, but bit by bit, the life experience brings forth from my subconscious images and stories. I want to record these phenomena as one person's unique vision. I'm sure of the relevance of art by its persistent presence in human culture. I'm not so sure of the significance of my observations and creations but the challenge is always there and so is the mystery of creation. I'm looking forward to more exciting projects in the future. Charles Strong was one of the youngest artists of the San Francisco School of Abstract Expressionism. He was a colleague of vanguard artists such as Elmer Bischoff, Richard Diebenkorn, Jack Jefferson, Nathan Oliveira and Frank Lobdell. He was influenced by Lobdell and Clyfford Still, whom he met in 1960 while Still was teaching as a guest instructor at the University of Colorado. He moved to San Francisco to attend the California School of Fine Art. There he was inspired by the likes of Ed Corbett, Jack Jefferson, Hassel Smith, Clay Spohn, Richard Diebenkorn, Robert Machesney, and Mary Fuller. Charlie is perhaps best know for the Abstract Expressionist paintings he created during his years in the Bay area. 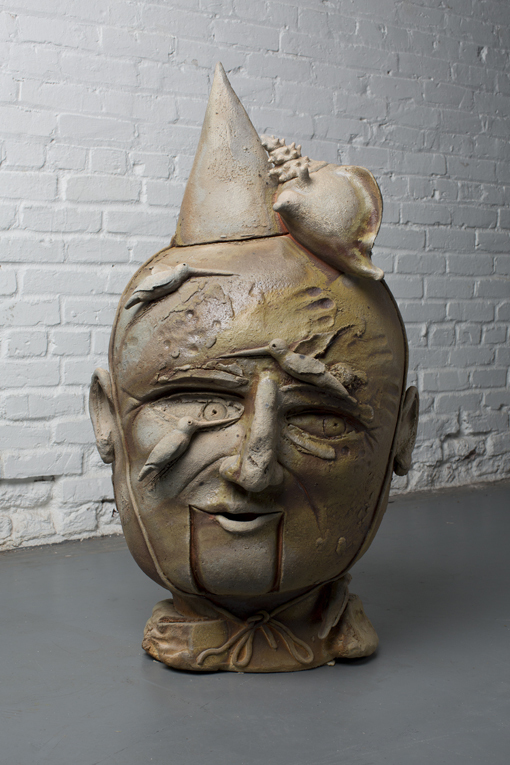 His massive volume of work includes painting, sculpture, and ceramics – much of which is devoted to heroic and anti-heroic icons like Joan of Arc, Cervantes (monumental sculpture outside the Albuquerque Museum), Rasputin, James Joyce, and Ezra Pound. In 1982, he received a National Endowment for the Arts fellowship. In 1990, Strong co-founded the Peter and Madeleine Martin Foundation for the Creative Arts in San Francisco, with Madeleine Dimond Martin. He is in the collection of the San Francisco Museum of Modern Art. He lived and worked in Taos, NM. 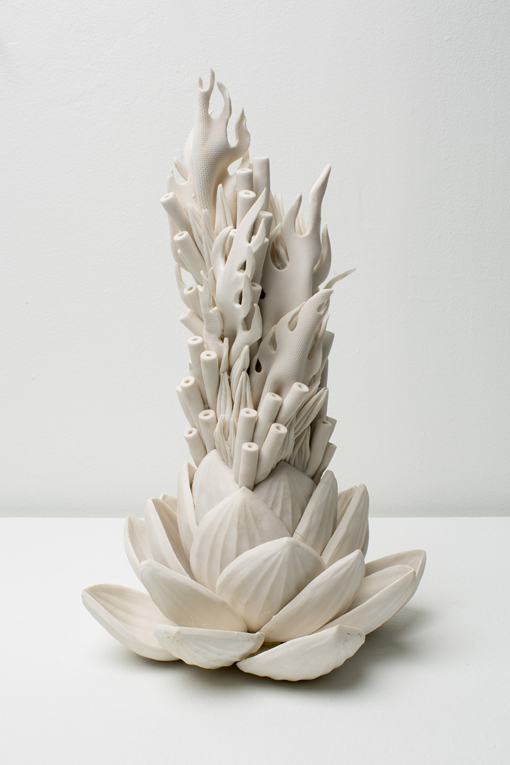 Kyoko Tokumaru’s porcelain plants blossom forth with restrained energy, her spiky lances and unfurling fronds forming fantastical botanical creations. 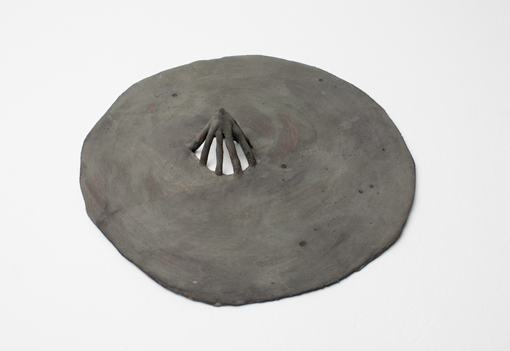 The artist begins with slabs of clay and then constructs them to create work rooted in existential explorations. In this regard, Tokumaru notes that her spatial expressions allow her to travel deep inside herself. 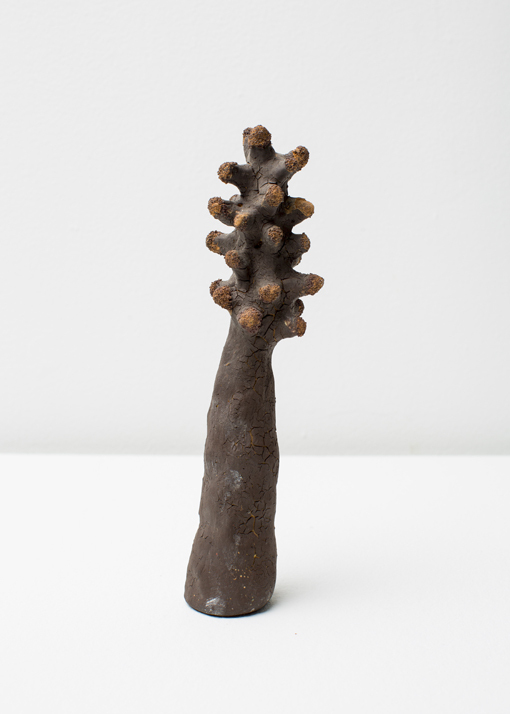 Describing the experience as “an accumulation of texture,” she explains that she can feel her inner emotions being transferred into the clay through the touch of her hands. 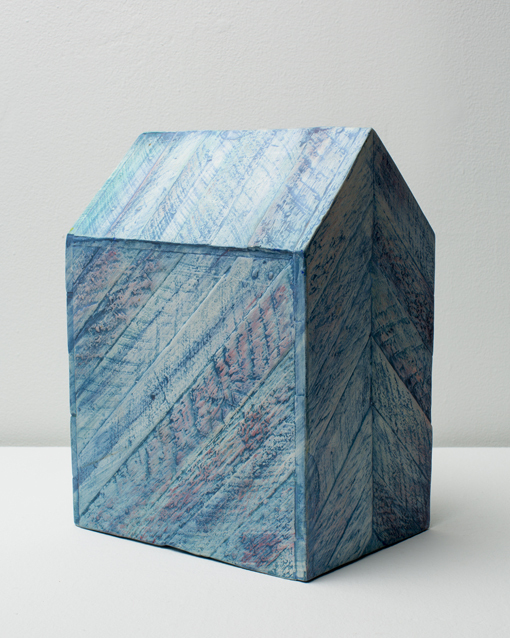 Tokumaru holds both a BFA and MFA in ceramics from Tama Art University, Tokyo. 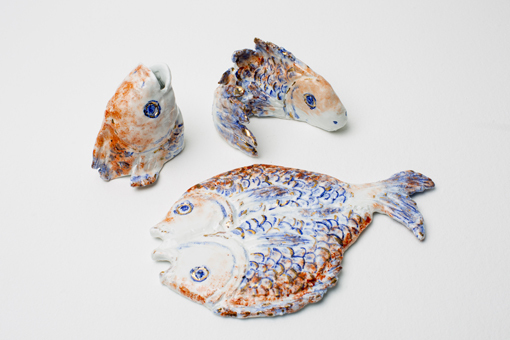 She has received the Japan Agency for Cultural Affaires Fellowship as well as the Izushi Porcelain Award Bronze-Prix. 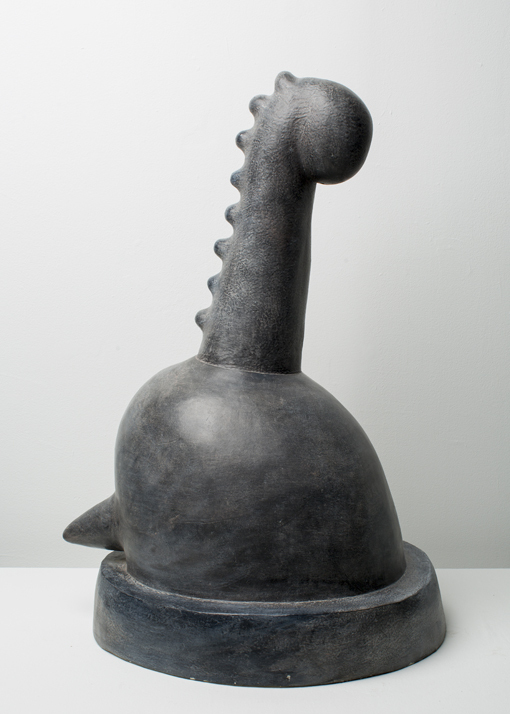 A veteran of numerous solo and group exhibitions, the artist has shown her ceramic sculptures internationally, and her work is included in several public collections, including the Mino Contemporary Ceramic Art Museum in Japan and the Philadelphia Museum of Art. Nobuko Tsutsumi was born in Osaka, Japan. 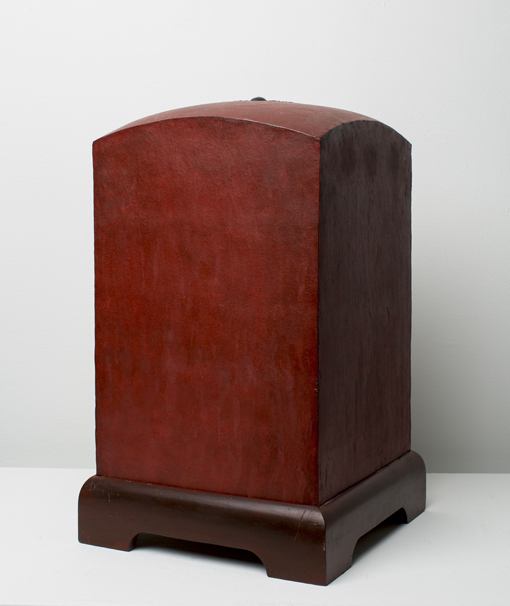 She graduated from the Ceramics Department of Osaka University of Arts and from the Kyoto Municipal Ceramic Laboratory. Her public monuments are found in many prestigious locations including: The Foundation of Shigaraki Ceramic Culture Park, Shiga; The National Museum of Prague; Kobe Municipal Suma Aquarium, Hyogo; Deyashiki Station Development Plan, Hyogo; Yokkaichi Station Development Plan, Aichi; International Flower EXPO, Osaka; Mino Municipal Gymnasium, Osaka; and Niihama Municipal Junior High School, Ehime. Her selected solo exhibitions include: Gallery Kiss, Okayama, 1997; Internet Gallery, Osaka, 1996; Gallery Maronie, Kyoto, 1996, 91, '87, '86, '85 and '84; STREET Gallery, Kobe, 1996; Sai Gallery, Osaka, 1994; Spring Spectacle, Printemps Gallery, Ehime, 1991; Hals Gallery, Tokyo, 1991; Gallery Kantata, Osaka, 1990; Gallery Suzuki, Kyoto, 1990; Gallery View, Osaka, 1989 and '88; Gallery Haku, Osaka, 1988; Gallery Casa, Kyoto, 1987 and '86; Tsukashin Tezukuri-Kan, Hyogo, 1987; Gallery Gengai, Tokyo, 1986; Gallery Isogaya, Tokyo, 1986; and Gallery La Pola, Osaka, 1985. Ann Marie Wasshede (Ann Marie Carlsson) is a Swedish artist born 1949. She was a Bemis Center of Contemporary Art artist-in-residence in 1990. 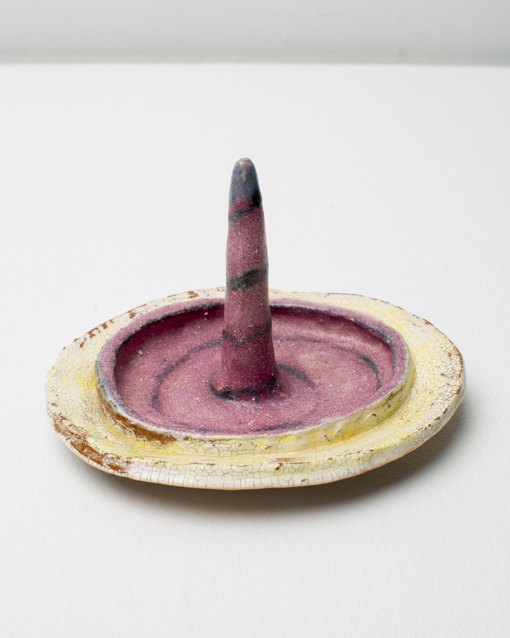 She worked in stoneware and ceramics, using patterning, sanding decor and various glazes. Chris Weaver was born in Te Awamutu in the North Island of New Zealand and then grew up in the South Island. My first memory of clay is as a young boy, finding some when my father was digging out steps in a bank down at the bottom of our property in Nelson. I made my first pots then and have been obsessed by clay ever since. I graduated from Otago Polytechnic, Dunedin, in 1976 with a Diploma in Fine and Applied Arts with Distinction in Design and Sculpture and a Certificate in Ceramics. Attracted by the landscape and lifestyle, I moved back to the West Coast, where I had spent my high school years, and built a studio and kilns at Kaniere, east of Hokitika where I have chosen to live and work. I live in the house I built with my wife, Jan, and until recently, daughters Kate and Georgia who have now left home. 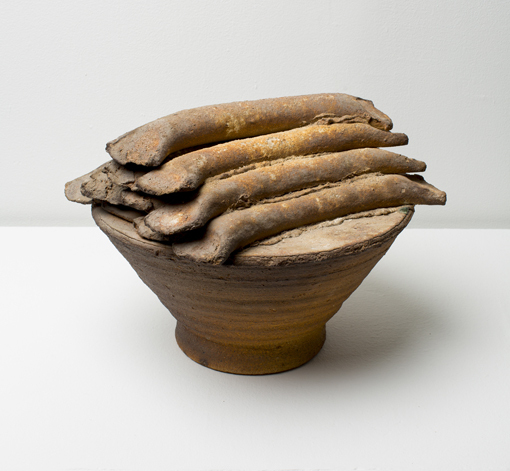 Stan Welsh is an american ceramist and teacher who received his BFA at the Kansas City Art Institute in 1974 and his MFA at the New York State College of Ceramics at Alfred University in 1978. He has taught at San Jose State University, California since 1981. He has received several grants and awards, including an *NEA grant in 1986, a California Arts Council Grant in 1990. In the 1980s Welsh made large, stylized narrative terracotta head forms with heavy incising and carving filled with brightly colored glazes. His work then became more monochromatic, incorporated other materials and referenced social and political issues. 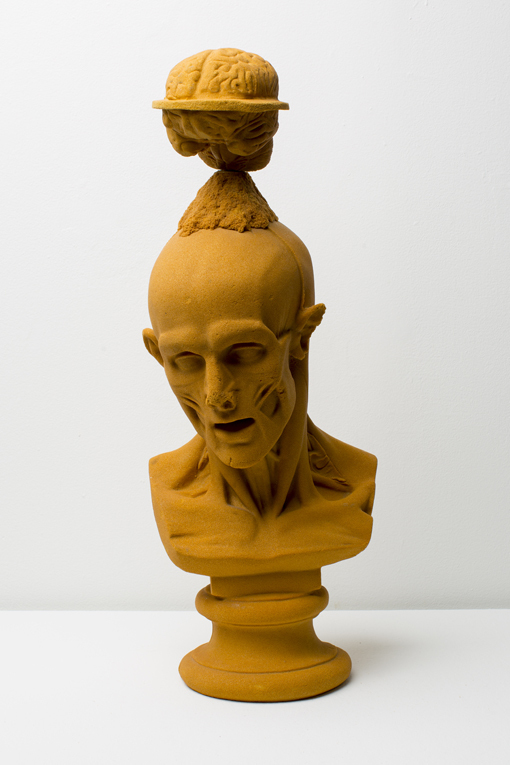 Starting in 2000 Stan began working on a series of heroic terracotta heads (4 or 5 times life scale) that are the most representational work he has done to date. These highly expressive heads with intense facial expressions representing a wide range of human emotions were featured in an exhibition at the Daum Museum in Missouri in 2004. The show was titled "Bay Area Ceramic Sculptors" and included the work of Arthur Gonzalez, Annabeth Rosen, Nancy Selvin and Stan Welsh. Janet Williams is Associate Professor and Area Coordinator of Ceramics at UNC Charlotte where she teaches Ceramics, 3D Design and Installation Art. Janet was born in S. Wales and received her education in London, UK (Fine Arts and Ceramics) and an MFA in Ceramics from Cranbrook Academy of Art Mi, USA and is now a dual citizen of the USA & UK. 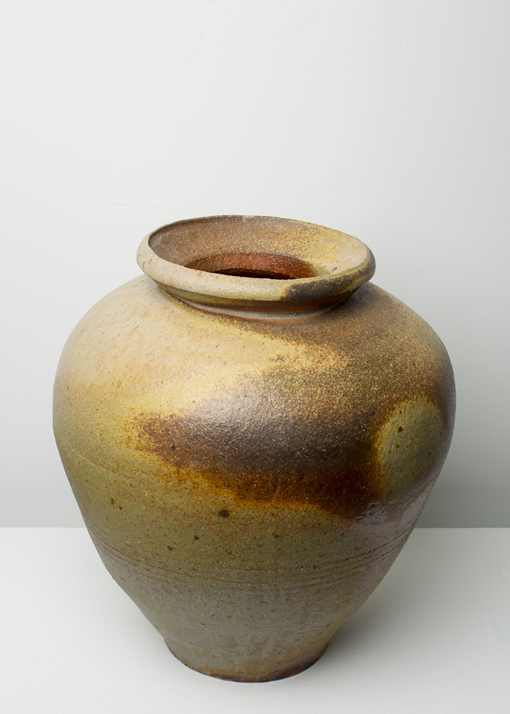 Before joining the faculty at UNC Charlotte, Janet taught Ceramics at the University of Nebraska-Lincoln, the Cleveland Institute of Art and the University of Michigan. For 12 years, Janet was based at Art Farm, a non-profit artist residency program in Marquette, Nebraska that she co-founded and co-directed. 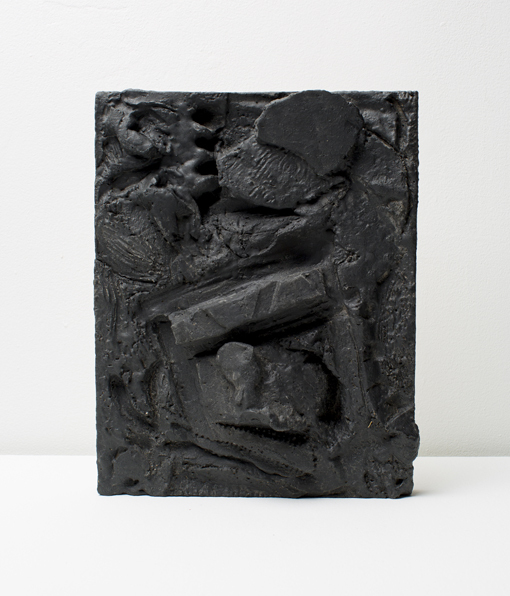 Janet’s work has been exhibited throughout the United States and internationally and she has received many awards including: the Pollock-Krasner Foundation, McKnight Foundation Residency and Artist Fellowships from the Nebraska Arts Council. 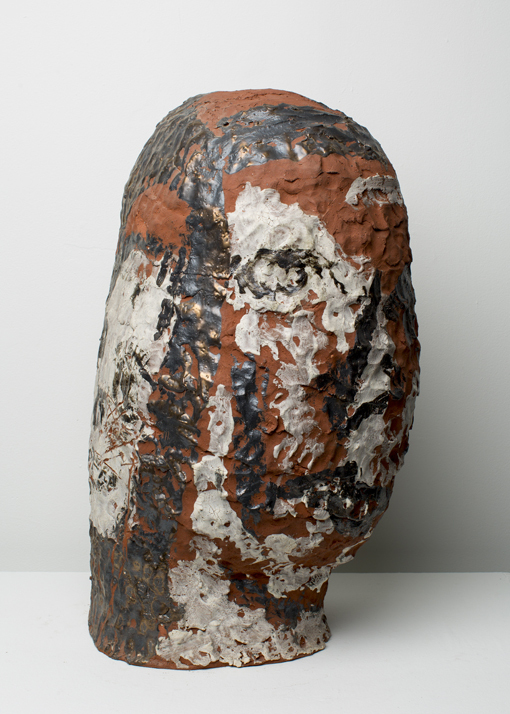 She has attended residencies in the United States, Canada and in Europe – including: the Northern Clay Center, the Bemis Center for Contemporary Art, the Kohler Co. Arts/Industry, A-I-R at Vallauris, France, the International Ceramics Studio, Kecskemet, Hungary and the Banff Centre for the Arts, Canada. She has completed a 1% for the Arts Commission for the University of Nebraska, Lincoln.